I have to wonder what it is about the followers of Socialist and Communist dictators that makes them want to put their dead leaders on public display. According to this article by the AP, that is the plan for Chavez’s corpse. Hugo Chavez‘s body will be preserved and forever displayed inside a glass tomb at a military museum not far from the presidential palace from which he ruled for 14 years, his successor announced Thursday in a Caribbean version of the treatment given Communist revolutionary leaders such as Lenin, Mao and Ho Chi Minh. Vice President Nicolas Maduro, Venezuela’s acting head of state, said Chavez would first lie in state for “at least” seven more days before the museum becomes his permanent home. It was not clear when exactly he would be moved from the military academy where his body has been since Wednesday. I suppose this procedure is meant to continue the cult of personality, and for all I know, maybe the ancient Pharaohs of Egypt had their bodies mummified for that reason. It’s still a grisly custom, keeping a dead body preserved for people to gawk at, and I think they should just bury him. A wonderful human being has passed. What do I do when I am angry, happy, or sad? I write. Back in 2004, shortly after my son, Casey, was killed in Iraq, a grief counselor advised me to write a letter to my son in a journal every night. I filled up three journals in the terrible months after his death. I often wrote at his grave and those journals did help me deal with the unspeakable loss. Today, I write from a great well of sadness, but not just for me, for the world. My dear friend in peace and justice, President Hugo Chavez of Venezuela, just lost his fierce and valiant battle with cancer. Many people know about Hugo Chavez, the president, and constant thorn in the side to El Imperio the meddlesome and harmful Empire to the north. But I want to eulogize Chavez the man I knew. He was my dear friend and comrade in a way where we were united in the struggle for peace and economic justice and equality. It’s not like I could text him, or we would chat about current events, but whenever I had the privilege to be with him, warmth radiated from his heart and I was able to connect with him in very real and human ways. Compared to the palpable realness of Chavez, most of the US politicians I have met with are walking and talking ice sculptures. She goes on and on, but that’s as far as I could read of this tribute to a tyrant before I started to gag. Still, I thought I might console her for her grief, so I left a comment saying, “Don’t worry. I’m sure you’ll find another dictator to fawn over.” The comment was removed almost immediately. I guess she follows her hero’s example when it comes to opinions she doesn’t like. Hugo Chavez to get well “urned” final resting place (dcmontreal.wordpress.com) I wonder where Dante would have placed him. 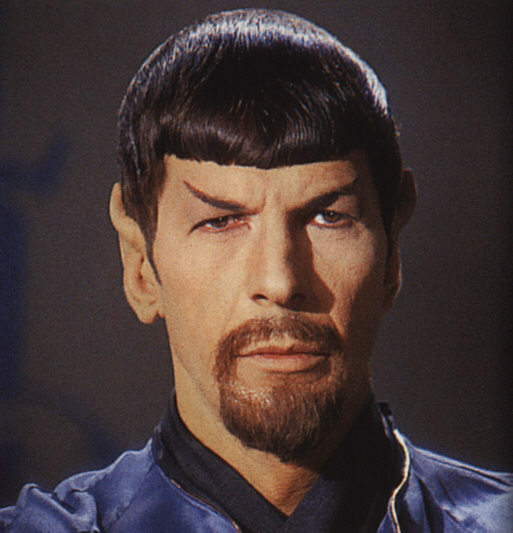 Hugo Chavez, the president and dictator of Venezuela died today. Here is the story in Yahoo News. President Hugo Chavez was a fighter. The former paratroop commander and fiery populist waged continual battle for his socialist ideals and outsmarted his rivals time and again, defeating a coup attempt, winning re-election three times and using his country’s vast oil wealth to his political advantage. A self-described “subversive,” Chavez fashioned himself after the 19th Century independence leader Simon Bolivar and renamed his country the Bolivarian Republic of Venezuela. He called himself a “humble soldier” in a battle for socialism and against U.S. hegemony. He thrived on confrontation with Washington and his political opponents at home, and used those conflicts to rally his followers. Almost the only adversary it seemed he couldn’t beat was cancer. He died Tuesday in Caracas at 4:25 local time after his prolonged illness. He was 58. During more than 14 years in office, his leftist politics and grandiose style polarized Venezuelans. The barrel-chested leader electrified crowds with his booming voice, and won admiration among the poor with government social programs and a folksy, nationalistic style. His opponents seethed at the larger-than-life character who demonized them on television and ordered the expropriation of farms and businesses. Many in the middle class cringed at his bombast and complained about rising crime, soaring inflation and government economic controls. Chavez used his country’s vast oil wealth to launch social programs that included state-run food markets, new public housing, free health clinics and education programs. Poverty declined during Chavez’s presidency amid a historic boom in oil earnings, but critics said he failed to use the windfall of hundreds of billions of dollars to develop the country’s economy. In the battles Chavez waged at home and abroad, he captivated his base by championing his country’s poor. On television, he would lambast his opponents as “oligarchs,” scold his aides, tell jokes, reminisce about his childhood, lecture Venezuelans on socialism and make sudden announcements, such as expelling the U.S. ambassador or ordering tanks to Venezuela’s border with Colombia. 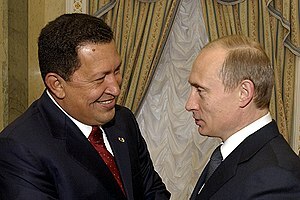 Chavez carried his in-your-face style to the world stage as well. In a 2006 speech to the U.N. General Assembly, he called President George W. Bush the devil, saying the podium reeked of sulfur after the U.S. president’s address. Chavez’s legacy is that he gutted the Venezuelan constitution and drove his country’s economy into the ground. I would hope that who ever follows him restores democracy to Venezuela, but I am sure his allies will maintain control. I know that it is wrong to feel joy over anyone’s death, even the death of a tyrant. Everyone of us has some worth, oh, who am I trying to fool. Let the joyous news be spread! The wicked tyrant is finally dead! It looks like Barack Obama has picked up an important endorsement from the evil dictator’s association. As Breitbart.com relates. 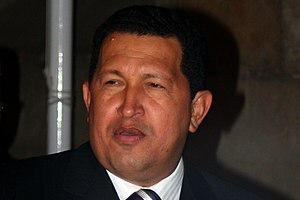 Venezuelan President Hugo Chavez has weighed in on the U.S. presidential race, saying he prefers President Barack Obama. Chavez is running for re-election, seeking another six years in office in an Oct. 7 vote. Democratic U.S. President Obama faces Republican Mitt Romney in his November re-election bid. Venezuela has had tense relations with the U.S. for the years, and the two countries’ embassies have been without ambassadors since 2010. Isn’t anyone wondering why America’s enemies, foreign and domestic, seem to prefer Obama? Either Noam Chomsky has been replaced by an alien pod, or I have fallen through a dimensional rift into the bearded Spock universe, but according an interview in the Guardian, Chomsky had some rather harsh things to say about his old friend. In particular, Chomsky demanded the release of Judge Maria Loudes Afiuni who Chavez put into prison after she freed a prominent banker, Eligio Cedeño, who had been jailed on fabricated charges of corruption. Ron Radosh at Pajamas media thinks he knows the reason for this unexpected turn by Chomsky and gives him two cheers. So why did he do this? I think I have an answer, and it comes from something he told me many decades ago, when I spoke with him in Wellfleet, Mass., when I was vacationing in the Cape Cod town. Chomsky, who at times has called himself a libertarian socialist or a Marxist anarchist, told me that he would not travel to Vietnam, despite many invitations, since he knew he would not like the Stalinist regime, and would be compelled to criticize it. Publicly he defended the North Vietnamese Communists and the Viet-Cong because they were under attack from American imperialism, he told me, and he was honor bound to solidify support for the anti-war movement in the United States and the Vietnamese Communists and their government. He would not have been able to carry out that task, he said, had he accepted any of their invitations. But by not personally going to the country, he could avoid criticizing it. In his interview with the Guardian, he notes that he has made a judgement that the Chavez regime is not under external attack from the United States — and hence he is free to criticize its policies. For Chomsky, this is a major step forward. Until this time, if you care to go through his voluminous writing, he generally calls critics of totalitarian left-wing regimes apologists for the United States. He would never beforehand concede that these regimes were not under severe danger from the United States. By saying that they are not, he has undercut the argument Chavez’s defenders always make about why they must be supported. That’s two more cheers than I would ever give him. Note that Chomsky knew, or at least suspected that North Vietnam was not exactly a democracy, yet he turned his eyes away from the evils of that regime so that he could continue to attack the United States in good conscience. I’m glad that Noam Chomsky is on the right side for once, but one good act does not make up for decades of supporting some of the most odious governments in the world. By the way, I noticed in the article that Chomsky refers to himself as a “libertarian socialist”. How is that possible? Libertarians want as small a government as possible while Socialists want the government to run everything. It would see, that these ideologies would be polar opposites anywhere outside Chomsky’s confused brain.